Bali attract millions of tourist from all over the world, China now as the the biggest tourist supporter, then Australia as the second, European and Asia support Bali as their holiday destination. Asian country like Singapore, Malaysia, Thailand, Brunei and other Asian Country love come to Bali as they have many direct flight with short flight also become reason why they keep come to Bali. They can see the beauty of Bali with our Bali Cab driver, travel to Mountain, sea, rice fields and Lake, its really awesome id you travel with private Bali Cab charter as you have freedom , stay longer, and choose the destination as you please. 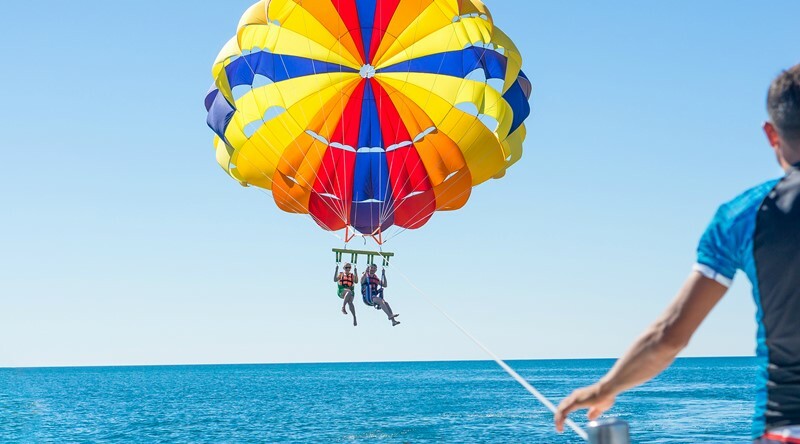 Asian tourist also love the adventure activities like Rafting, water sport , Atv ride and many more they can do while in Bali. Spend for 4 to 5 days is more than enough to see Bali. On this page, we will give 5 reason why Asian Love Bali? 1 Enjoy Buffet Lunch at Volcano while see Awesome Volcano & Lake view. In Bali there many restaurant for regular lunch, but if you having lunch with awesome view of Batur Volcano and Lake Batur will be something wow and unforgettable life experience. The Batur Volcano with 1,200 meter above sea level with the biggest Lake in Bali called Danau Batur. 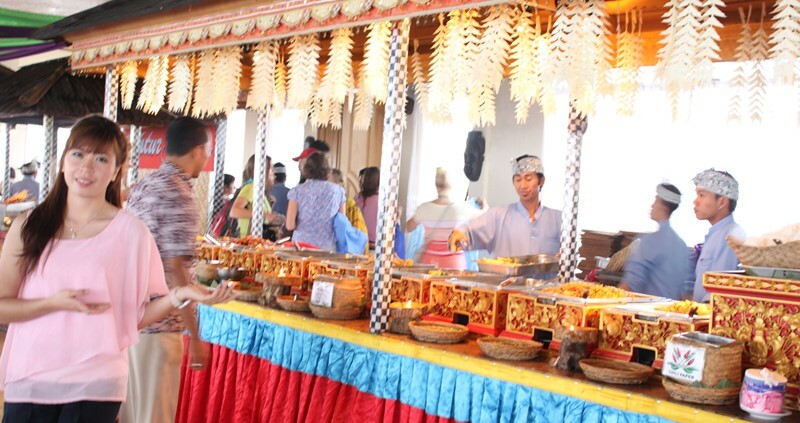 And among the most amazing view for lunch in Bali is only at Kintamani village, along the edge cliff of Kintamani, there many restaurant offers big Indonesian buffet lunch with reasonable price and surely with good service from the staff. Average rate for having lunch at Kintamani is IDR 100,000/person and you can eat as you like as they do self services, main menu like steamed rice, fried rice, noodle, vegetable, satay, spring roll and abundance of tropical fruits are served, tea and coffee with Balinese cake also included on the menu lunch. For drinks like soft drink, beer, wine, juice with extra charge to the customer. While enjoying your buffet lunch at the restaurant, you will be able see the Batur Volcano & Lake Batur, its very recommended to come around noon from 11.00-14.00 and book or take the front seat for much better amazing view, please prepare your camera for photo. 2. Take the bath at Natural hot spring at the lake side with cool and nice view. On Bali Paradise island, there many of natural hot spring, there spread at Buleleng, Tabanan and Bangli regency, on this page I will tell you the best Natural hot spring pool and you must come here while in Bali. 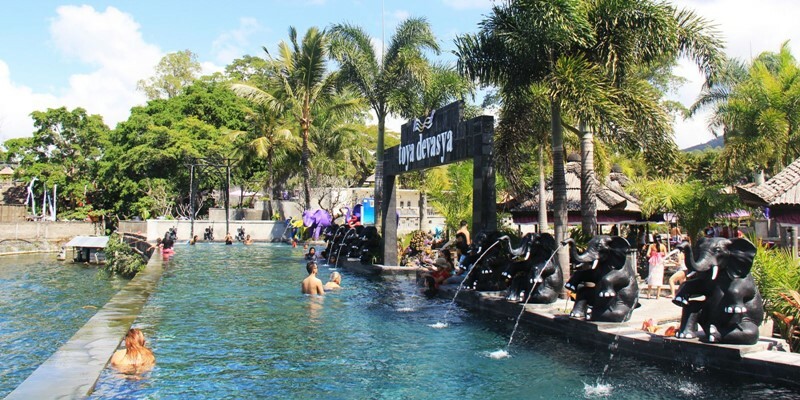 Name of this hot spring is Toya Devasya Natural Hot Spring, located at the village downhill of Kintamani and the pool just lies on the side Lake of Batur, if you swim and bathing here, you can see the lake Batur view, see Mount Abang and Mount Batur. If you having lunch at Kintamani and drive further down another 30 minutes, you will be at Toya Devasya Hot spring, this tour very nice combination with Kintamani, Ubud surrounding for one day trip. When you drive down from Kintamani, we will pass the lava spot from the the Batur Volcano eruption in 1963, also you can see the farmer activities planting the union, garlic and vegetable, some local food stall offers famous fresh water Mujair fish nyat-nyat, its very nice taste from the local chef. Our Small Bali island is surrounded by nice beaches, we have black and white sandy beach, let start north of Bali we have Lovina Beach with black sandy beach and famous spot for morning dolphin tour, west Bali we have Soka, Yeh Leh beach and Soka Beach, Gajah Mina beach, Pekutatan beach, this west area also start growing as tourist destination with some hotel, villa. Some nice hotel like Puri Dajuma, Kelapa retreat and spa and many other small hotel can found here. South of Bali, we have mostly white sandy beach, most famous beach is Kuta beach, stretch from south to north of Legian with many local and foreigner tourist, they love to do surfing, relaxing, sun bathing and waiting for beautiful sunset. 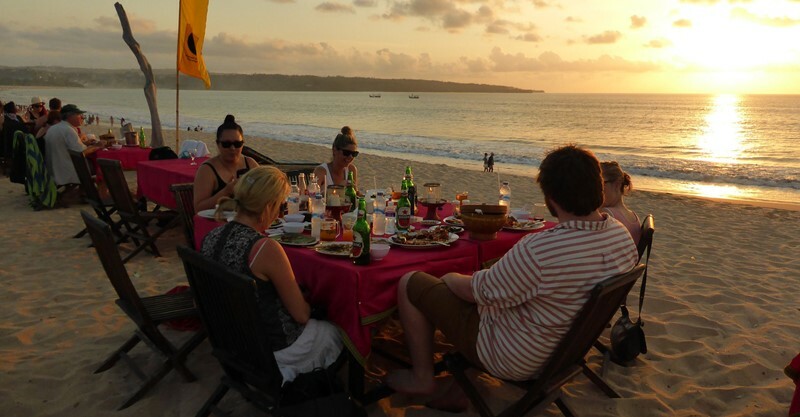 Other beach we have Jimbaran white sandy beach and famous sunset BBQ seafood dinner, Pandawa white sandy beach, Dreamland, Padang-Padang, Bingin beach, Nusa dua beach, Geger beach and Tanjung Benoa beach. If you have limit budget or student budget but want to have romantic dinner on the beach in Bali, why not? We have special beach namely Jimbaran Bay beach, and you must prepare your time to come here and see how the beauty of the beach while sun goes down. Beach located near airport, just south of the airport, if landed in Bali, you see the Jimbaran beach, Along the beach from north to south, we have fisherman village and fish market for local and further south we have many café or simple restaurant which is set up the sands, table and chair will be stand on the sands. Further southern part, we have five star hotel call Intercontinental and Four Season Jimbaran, for sure the hotel is expensive for budget tourist. The most interesting and most tourist want to know and experience about Jimbaran is about The sunset dinner with BBQ seafood dinner, if you come at evening around 17.30-18.30 will be more more tourist come with taxi, local Bali cab driver to have dinner on the beach, all the café will serve mostly same menu and taste also almost same, general menu if fish, prawn, squish, lobster, crab and they will be served in BBQ with steamed rice, water spinach vegetable, fruits and soft drink or beer and wine, see how much your budget. Average menu like 250k/person you will get the standard menu. Some café also have life music, so you can request the music from them and please give them little tips. Well that is about Jimbaran, hope you enjoy the dinner. Longer stay in Bali Paradise island will not complete holiday if you not watch the most spectacular trance dance show, its call Ramayana Kecak and fire dance, this show is perform daily from 18.00-19.00 at open stage in Uluwatu Temple, we have hundreds till a thousand tourist visit Uluwatu Temple for sunset, but mostly will come to stage to get the ticket performance. If you plan to see the show, please come earlier, especially on high season, you must come at 17.00 to get ticket or otherwise you can not see the show as the ticket sold out. 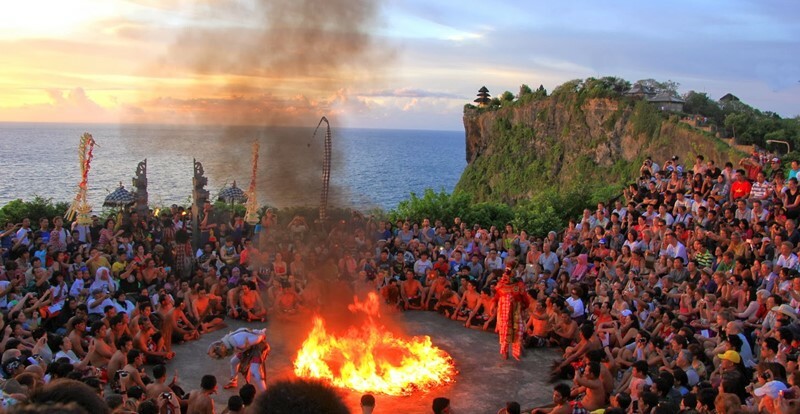 The price for the dance show is IDR 100,000/person or around USD 7, if you come here you must purchase ticket entrance to Uluwatu Temple at IDR 30,000/adult and IDR 20,000/child then come to ticket performance counter to get the ticket show, if the stage still empty, you may take your time to take photo the cliff and Uluwatu Temple from the near the stage, but once more tourist are coming, you must get the good seat position to have nice spot see the show and see sunset overlooking the Indian Ocean. The story of the dance is take from Ramayan Indian Epic, telling about the fight Rama again demon king of Rahwana with happy ending story, in Europe they call Rome and Juliet. Bali, The Place To Be If You Are Looking for Fun in The Sun!